National Agriculture Cooperative Marketing Federation of India Limited (NAFED) Recruitment Notification 2018.NAFED inviting applications for the positions of Junior Account Assistant & Field Representative.Interested and Eligible candidates can apply for the positions. Candidates must be completed Graduates from the organization. Candidates age must be as per rules. For age relaxations check the official notification. 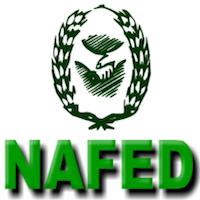 Mode of applying for the NAFED posts recruitment is through online mode.